I remember that one of my birthday parties when I was probably in the third or fourth grade was a sleepover. Every girl in my class spent the night and we watched Bye Bye Birdie and Grease. The next day, after they all had left and before Grease had to be returned to Blockbuster (snaps for Blockbuster), I watched Grease no less than four times in a row. It was a VHS copy too so this was an arduous process. 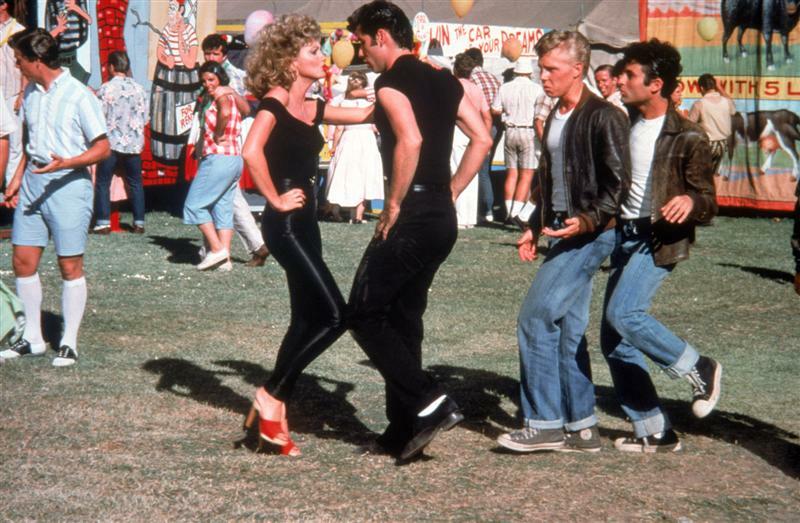 But man, I loved Grease as a kid and I would do anything to watch it over and over and over again. A few years later, when I got my first portable CD player (snaps for discmans) for Christmas, the Grease soundtrack became the first CD I ever owned. I am quite embarassed to admit that know every word to every scene and song in Grease. It’s something I’ll never be able to shake because I got chills, they’re multiplyin, and I’m losin control cause the power you’re supplyin, it’s electrifyin. Don’t worry. As a bollywood fanatic I knew every single line of the dialogue and songs in ‘Kuch Kuch Hota Hai’ (and most of Grease as well) so I can sympathize. Ahh! I love Kuch Kuch Hota Hai! I truly believe that knowing every word to Grease is a necessary life skill that will get you places.